Lol!!! 🙂 At first I thought the beetle was a type of ladybird, but it’s the wrong shape. Do you know what species it is Sharon? Ce fut une belle journée de printemps, en effet. Je vous remercie, Seriene! Nice. Good of lady bug to pose for you. 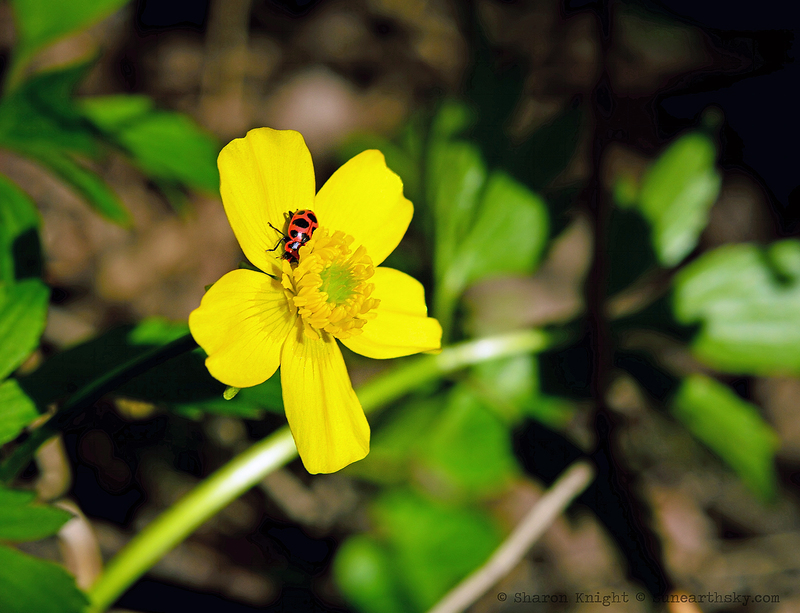 Love the bright yellow and the beautiful lady bug. Super image!